When a boy goes missing and a policewoman starts drawing cave paintings, the Doctor suspects the Silurians are back. With the Brigadier distracted by questions about UNIT funding and problems at home, the Doctor swears his assistant Liz Shaw to secrecy and investigates alone. But Liz has enquiries of her own, teaming up with a journalist to track down people who don't exist. What is the mysterious Glasshouse, and why is it so secret? 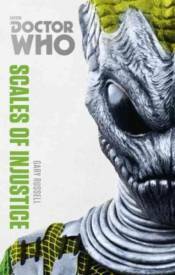 As the Silurians wake from their ancient slumber, the Doctor, Liz and the Brigadier are caught up in a conspiracy to exploit UNIT's achievements - a conspiracy that reaches deep into the heart of the British Government. It is an adventure featuring the Third Doctor, as played by Jon Pertwee, his companion Liz Shaw and UNIT.